Chairman of Ward 6, Tudun Wada, Kaduna South Local Government, where the Senator representing Kaduna Central in the Nigerian Senate, Shehu Sani, hails from, has insisted that Mr. Sani remained a bonafide member of the All Progressives Congress and has not been suspended. Some members of executive of the party in the Ward, including the secretary, Ahmed Abdulhamid, the Public Relations Officer, Auwal Maianguwa and an ex-officio, Aminu Alilan, had on December 27 announced Mr. Sani’s suspension from the party, for 11 months. The officials listed Mr. Sani’s offences to include, uttering statements that allegedly “violate the rules of engagement of the party, factionalizing the party, and engaging in anti-party activities by criticizing the policies of Governor Nasir El-Rufai”. However, the three officials who purportedly signed the letter suspending the Senator said their signatures were forged. In spite of their denial, the state chapter of the party, in a December 30 statement by Assistant Publicity Secretary, Salisu Wusono, said the party was left with no other option than to uphold the suspension in order to restore discipline to the party. “Following the rules and procedure laid down by the constitution, we shall uphold our commitments and defend the constitution of the APC at all times,” the statement said. “In this quest, having exhausted all avenues available to us in the party, we are left with no option than to uphold the suspension of Comrade Shehu Sani as a member of the party for a period of 11 months. “By this suspension, he is to desist from all party activities until when the suspension is lifted. The Ward Chairman, Abbas Anni, however visited the national headquarters of the APC in Abuja on Monday, alongside some of his colleagues in the ward executive, and submitted a letter to the National Secretary of the party, Mai Mala Buni, insisting that Mr. Sani committed no offence warranting his suspension from the party. After submitting the letter, Mr. Anni again distanced his executive from the attempt to suspend the Senator. He also reiterated his earlier claim that all the signatures in the suspension letter were forged. “It is regrettable and lamentable that we were portrayed as having suspended Senator Shehu Sani from the APC for 11 months. 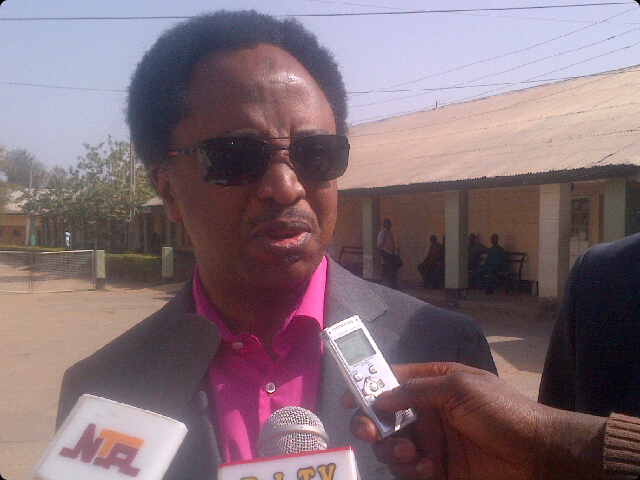 We reiterate our unalloyed support for Senator Sani,” he said. The ward chairman requested the national executive of the APC need to wade into the matter by restoring discipline in the party in Kaduna state. “All that is happening is totally unnecessary,” he said. “As a governing party, we need to all work together to fulfill our promises to the electorates. My prayer is that the national executive will do the right thing for Kaduna APC before it is too late,” he said.